Mattel’s Barbie dolls are some of the most recognized toys in the world. However, Barbie’s rise to fame has been full of controversy. For example, many parents have worried that Barbie creates unrealistic body image standards for young girls. If a Barbie doll is scaled to human size, then Barbie stands at 5’9” and weighs 110 pounds. Additionally, she has a 36 inch chest, 18 inch waist, and 33 inch hips. If a woman were to have these measurements, she wouldn’t even be able to menstruate! 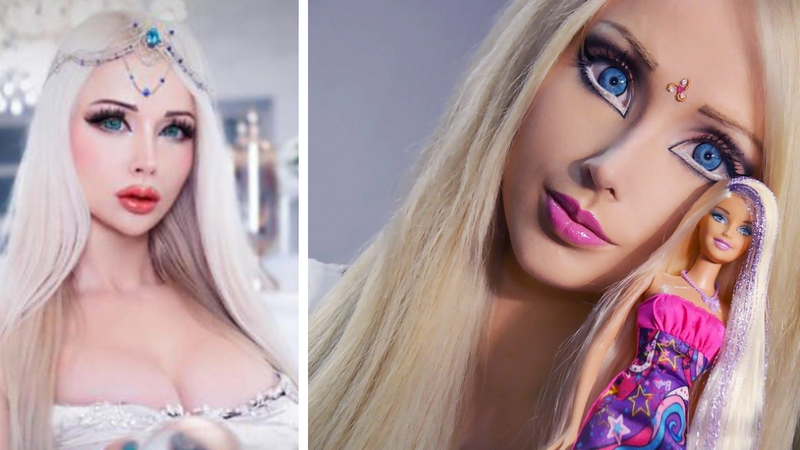 While we do not advise any of you to strive for a “Barbie” image, there are a few people who have made their life goal to become a real life Barbie. Prepare to learn more about Valeria Lukyanova, the world famous “living” Barbie!